Light a fire with your pre-event promotions and make your holiday event attendance explode when you print Fourth of July Freedom Blue Flyers and post them in advance. 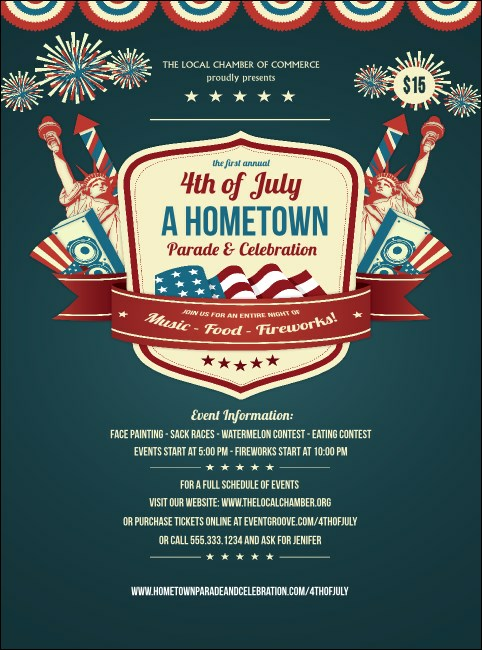 This Flyer template features Lady Liberty standing proud along with a decorative banner and fireworks in the classic American colors, red, white and blue. You have the right to great advertising at TicketPrinting.com.